As this weekend's storms that damaged or destroyed entire towns in Illinois and Indiana have proven, the weather in the upper Midwest can be brutal on our homes. But even if you haven't experienced devastating storm damage, every home will eventually need repairs and major systems (furnace, roof, etc.) will require replacement. Informed consumers who take the Center's homebuyer education course, Home Stretch™, or our online version, Framework®, understand that owners should strive to save 1-2% of a home's purchase price EVERY YEAR for future maintenance. At the Minnesota Homeownership Center, we understand that setting aside funds for future maintenance can be difficult and sometimes repairs or maintenance of major systems can occur unexpectedly. 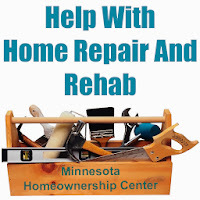 For that reason, every quarter the Center produces a Home Rehab/Repair Matrix that helps homeowners identify home repair and rehab programs throughout Minnesota that can help with emergency repair, energy efficiency, lead hazard abatement and other general repairs. Some of these programs are outright grants that cover the cost of the repair/rehab while others are loans, usually with below-market interest rates. Most of the programs are designed for low- to moderate-income homeowners and have income limits. 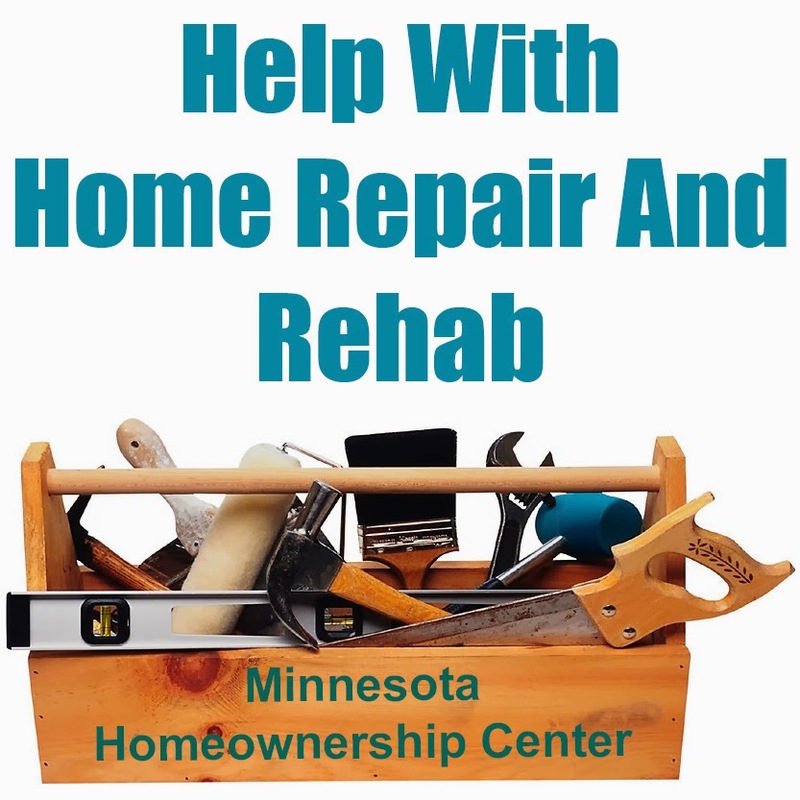 The most recent version of the Home Rehab / Repair Matrix is now available and contains information on dozens of programs that can help Minnesota homeowners with repairs or maintenance on their homes. For a copy of the complete Home Rehab / Repair Matrix, as well as additional information for homeowners, visit the Center's website, here. 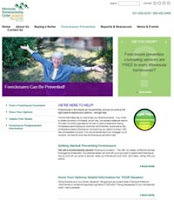 As faithful readers of this blog know, the Minnesota Homeownership Center’s mission is to promote and advance successful homeownership in Minnesota, with a focus on serving the needs of low- and moderate-income families and emerging markets. At the core of this mission is the belief that everyone can achieve long-term homeownership if they enter through the right door—prepared to make wise, informed decisions for their families. This year, the Minnesota Homeownership Center is celebrating 20 years of advancing successful homeownership. Over these 20 years, the Center has changed the lives of more than 200,000 Minnesota families. The Center provides homeownership education and counseling to ensure that every Minnesota family pursuing homeownership enters the transaction only when prepared and empowered with the information needed to make decisions that will sustain their housing and communities for years to come. We are the central resource for foreclosure prevention resources in the state and provided critical services during the foreclosure crisis. For more information about our work, visit our website at www.hocmn.org. If you haven't already chosen an organization or two to financially support during this year's Give to the Max day... we'd love for you to choose us! Do It By The Numbers! 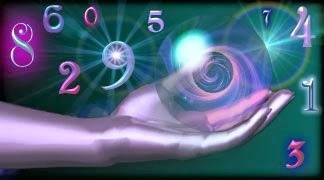 Numerologists claim that there is a mystical connection between numbers, or series of numbers, and events that happen in your life. Here at the Homeownership Center we can’t answer paranormal questions but we can say that there REALLY IS a number that impacts your financial life and long-term homeownership success. That number is your credit score. The good news is that this number isn't mysterious… you can learn what your score is and – even better – learn how to improve it. Your credit score is important. A low score not only means that you'll pay higher interest rates on mortgages, car loans, credit cards and other loans, but it can also prevent you from getting an apartment, keep you from being hired for a job you want, or cause you to pay more for insurance coverage. The event is FREE and everyone who attends will be entered in a drawing for a $50 gift card door prize! Umbelina Cremer, will provide insight into programming that Three Rivers Community Action has used to successfully transition emerging markets clients to homeownership. 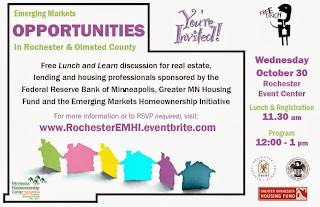 Paul Wilson, Olmsted County Commissioner, will share information on the results of the Rochester Housing Summit. AUDIENCE: This Lunch and Learn opportunity - including a free lunch! - is open to all homeownership stakeholders, including: real estate, lending, government and non profit leaders working on Emerging Markets and affordable homeownership issues. Many times when people discuss the benefits of homeownership, those benefits are focused on purely financial benefits like savings and wealth creation. While it's true that an investment in homeownership has traditionally been one of the primary strategies for long-term wealth building, especially for low- to moderate-income Americans, there are other non-financial benefits to successful homeownership. One of the lesser-known benefits is the positive link between owning and improved health and well-being. When compared to renters of similar socio-economic levels, homeowners have better physical health levels, lower child injury rates and higher self-esteem and improved mental health and lower blood pressure. (If you're interested in digging deeper into the research behind these claims, you can start here and here). But what about the relationship between healthy homes and healthy families? An upcoming assembly of housing and health professionals, policymakers and community leaders seeks to delve deeper into the critical connections between health and the places we live, help break down health and housing silos, and improve cooperation among these disparate professions through improved network connections and cross-sector collaborations. Known as the Healthy Homes and Communities Statewide Convening 2013, the upcoming event includes a keynote address by eco-entrepreneur and community revitalization strategist Majora Carter and workshop sessions that will highlight successful local healthy housing and communities initiatives and programs. For additional information about the Statewide Convening, contact Shawna Lynn Nelsen: shawna@fhfund.org. If you, or someone you know, would like additional information on the benefits (and costs) of homeownership and how YOU can benefit by becoming a successful homeowner, contact a Homeownership Advisor today. 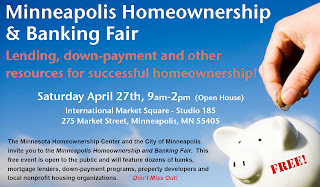 This post is a guest post by Laura Grevas, Program Coordinator for the Minnesota Homeownership Center. Before I began working at the Minnesota Homeownership Center, I knew as much about the home buying process as your average twenty-something. In other words, I didn't know much. I knew that affordable homeownership is the cornerstone of thriving neighborhoods. I didn't know just how much I didn't know about buying a home. That’s why homebuyer education is so important. Buying a home is likely the largest purchase any of us will make in our lifetimes, so it pays to be prepared and have at least enough information to advocate for your family’s best interest. Because the Center oversees a network of agencies that provide Home Stretch (homebuyer education) Workshops across the state, new employees are asked to join a class to get a sense of our flagship program. The folks at Community Neighborhood Housing Service – one of more than 30 Home Stretch providers– were kind enough to let me sit in on a portion of their Saturday class in St. Paul. Our facilitator began the afternoon session by talking about real estate basics, before introducing a local Realtor who schooled us in how and why people buy – or want to buy- where they do. Realtors aren't ethically allowed to steer their clients away from or toward certain neighborhoods, which is something I didn't know. The workshop format allows plenty of time to ask questions, both of the facilitator and the guest speakers, experts in their field who volunteer their time to teach new homebuyers. My classmates (the ones who were actually, you know, buying a house) swapped stories about their experiences so far, and I think we all learned something new. My favorite guest speaker was the professional home inspector. With more than 20 years of experience, this inspector had seen some pretty major problems in folks’ prospective dwellings. In addition to teaching us how to find a reliable inspector and make the most of the inspection process, he shared some little-known home safety tips. The average age of homeownership in Minnesota is 29, so we’ll see if that happens for me. Either way, I’m glad I observed this class – it definitely provides lots of valuable information that could prevent headaches down the road! From the Minnesota Homeownership Center's most recent press release: -- During the first half of 2013 the number of completed Sheriff’s Sales, the final step of the foreclosure process in Minnesota, has fallen to the lowest level since the beginning of the housing crisis. Statewide, there were 6,795 foreclosures in the first two quarters of 2013. This number is 29 percent less than the same period of 2012, with a greater decline seen in the Twin Cities metro area (down 33 percent) than in Greater MN (down 23 percent). The “2013 Semi-Annual Foreclosures in Minnesota” report was released Thursday by the Minnesota Homeownership Center using research provided by HousingLink and adds to other recent evidence showing that fewer Minnesota homeowners are struggling with mortgage payments than at any time since 2006. While more than 1,100 homes each month were lost to foreclosure in the first half of the year, this number pales in comparison to 2010, when Minnesota was experiencing the worst of the housing collapse. 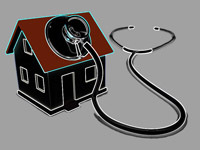 During the first half of 2010, lenders were auctioning off more than 2,100 homes each month. Homeowners that are struggling to make mortgage payments are encouraged to seek help from a certified foreclosure prevention specialist that is a member of the Homeownership Advisors Network as soon as possible. Waiting limits a homeowner’s option. To find a free local foreclosure specialist, click here, or call the Minnesota Homeownership Center at 866-462-6466. The Minnesota Homeownership Center has compiled the most recent quarterly data on Preforeclosure notices and the report shows that the number of notices issued by banks and servicers continues to plummet across the state. The data is another encouraging sign that the Minnesota housing market is slowly recovering from the foreclosure crisis. The positive trend for Minnesota cannot be denied... but we also know that these numbers mean that almost SIXTEEN THOUSAND families were struggling to make mortgage payments - and fell behind - during the first half of 2013. The Minnesota Homeownership Center and the Homeownership Advisors Network will continue to offer FREE foreclosure avoidance services to anyone who is struggling with their mortgage payments. *DATA UPDATED - The author incorrectly tallied the data for the Twin Cities metro area. Celebrate Homeownership Month With Us! The Minnesota Homeownership Center and the Homeownership Advisors Network are partnering with Minnesota Housing, MN Association of Realtors®, USDA Rural Development and the Minnesota Department of Commerce to promote homeownership and stabilize Minnesota’s neighborhoods by sponsoring homebuyer education in June. In celebration of Homeownership Month in June, the Center is pleased to announce the availability of free homebuyer education. This opportunity is available thanks to the generous support of several public and industry partners. Quality homebuyer education is the foundation of successful homeownership and is key to stabilizing Minnesota’s neighborhoods. A recent study conducted by Neil Mayer & Associates and the credit bureau Experian found that homeowners that receive pre-purchase education and counseling services are 30% less likely to become seriously delinquent on their mortgage in the first two years after closing. 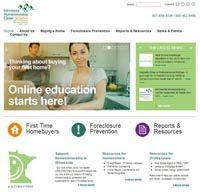 In Minnesota, homebuyer education is available online and in-person. Both courses include an in-depth understanding of the homebuying process, how to choose the right home, the importance of credit and good financial management, how a lender determines how much to lend, the importance of working with a real estate professional and the buyer’s rights and responsibilities once they become an owner. 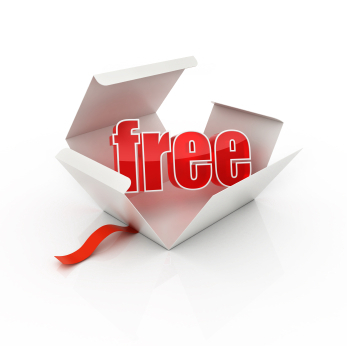 Free in-person Home Stretch Workshops are available at participating locations throughout the state from June 22-29. Recent data shows that the housing market continues to improve here in Minnesota and in many markets throughout the country. The recovery may get an additional boost if the forecasts of the National Association of Hispanic Real Estate Professionals (NAHREP) hold true. On May 20th, NAHREP released a report that projects over $500 Billion dollars in spending related to real estate and homeownership spending if Washington passes comprehensive immigration reform for the more than 11 million undocumented immigrants currently living in the US. They forecast that up to 3 million of these immigrants could become homebuyers over the next several years with an average home price of about $173,000. Their reasoning is simple: the options for accessing mortgage loans and lending products for undocumented immigrants are extremely limited. Any legalization of their immigration status would immediately allow these potential buyers to obtain a Social Security number, a requirement for most lending products. NAHREP’s projections maybe overstated (it’s impossible to gauge the future intentions of those who are currently out of status in the US) and immigration reform is far from a done-deal in Washington, but the Minnesota Homeownership Center understands the potential boost for housing that legalization would bring. A recent report from the University of Southern California found that over one third of the increased demand for homes in this decade has been generated by immigrant buyers. We continue to support and administer the Emerging Markets Homeownership Initiative that brings together industry professionals and non-profit organizations working to improve homeownership rates in communities of color. For more information about upcoming Home Stretch workshops, click here. To take Framework online, click here. We've highlighted many times on the @Home blog how our collaborative network approach to homeownership education and counseling in Minnesota is unique. One of key pieces of our successful collaborative approach is that we are the only state in the country with a dedicated pool of funds that provides financial support to eligible non-profit organizations to deliver a variety homebuyer and homeowner services. This dedicated pool is known as HECAT (The Homeownership Education, Counseling and Training Fund). Each of the funding partners not only contribute financial resources they also actively participate in the grant-making process and provide technical assistance throughout the year. The Request for Proposal (RFP) for funding for programs in 2013 and 2014 (funding year runs from October 1st through September 30th) is NOW OPEN. The deadline for applications is 3:00pm on Monday, June 10th. This is a STRICT deadline. Submission of Applications: This year, nonprofits that are interested in applying for the HECAT RFP, must submit their applications both electronically and a hard copy via mail/dropoff before the deadline. A Box.com account is required for the electronic upload and it is HIGHLY recommended that you open an account well before the deadline to avoid possible issues. At the Minnesota Homeownership Center, we understand the importance of home. We love helping people get into homeownership – and stay there –especially when we can help turn first-time homebuyers into long-term successful homeowners. That’s why we’re so excited about an upcoming event we’re planning with the City of Minneapolis and a number of non-profit homeownership educators, housing developers, and lenders. The Minneapolis Homeownership and Banking Fair will be held on Saturday, April 27th from 9am to 2pm (Open House) in Studio 185 of International Market Square. This event will share information about programs available in Minneapolis, St. Paul and the Twin Cities metro area. We hope you’ll join us! This fair is designed to be a one-stop shop for homebuyers and homeowners – you can learn about available down payment programs, meet with lenders, and explore whether homeownership is right for you. Stop by on your way to the Minneapolis and St. Paul Home Tour, and you’ll be able to search for your dream home (or dream kitchen remodel) with newfound confidence that you’re making informed decisions! More than 20 organizations will be at the event including: Bank of America, Build Wealth Minnesota, BMO Harris Bank, City of Lakes Community Land Trust, Greater Metropolitan Housing Corporation, Hmong American Partnership, Metropolitan Consortium of Community Developers, Minneapolis Area Association of REALTORS, Minnesota Housing, Neighborhood Housing Service of Minneapolis, Neighborhood Development Alliance, PRG, Inc., TCF Bank, Twin Cities Habitat for Humanity, US Bank, Wells Fargo. Best of all, this event is free and open to everyone. Take advantage of this unique opportunity to get your banking, lending, homeownership questions answered. We’ll bring the coffee. See you there! Give us a call to learn more (651) 659-9336 Ext. 108 or laura@hocmn.org. You can also check out our event page. Consumers are warned to be careful! At the end of March, Rust Consulting, the private contractor hired by the Office of the Comptroller of the Currency (OCC) and the Federal Reserve Board to oversee applications and payments for the Independent Foreclosure Review began mailing postcards to 4.2 million homeowners. These postcards officially notify these consumers that they will be receiving IFR settlement payments. The payments themselves will be mailed in the next four to eight weeks. For more information about IFR, view some of our previous blog posts, here and here. DON’T BECOME A VICTIM OF A SCAM. The Independent Foreclosure Review (http://independentforeclosurereview.com/). Any other solicitation may be a scam! No one has to pay a fee to receive payment through the IFR. No one can ‘help you get more money’ as the amount of the payment has been decided by federal regulators. The amount cannot be negotiated. The opportunity to request an independent foreclosure review is OVER. If you were not on the regulators and the servicers lists – the deadline to apply was December 31, 2012 – paying someone will NOT get you added to the list. For additional information, visit the Frequently Asked Questions page on the independent foreclosure review website, here. If you have questions regarding the Independent Foreclosure Review or any mailing you receive about IFR, please contact a Homeownership Advisor in your area. If you, or someone you know is struggling with mortgage payments... visit www.hocmn.org or call the Minnesota Homeownership Center at 866-462-6466 today! Waiting limits your options! 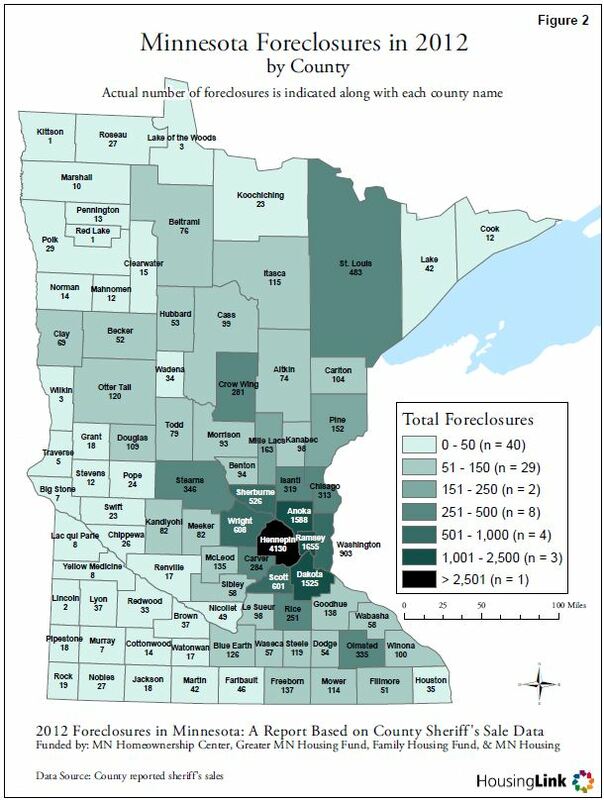 The Minnesota Homeownership Center has released its Foreclosure Counseling report for 2012. This report provides a summary of demographic and outcome data from the foreclosure prevention counseling program provided by the Center's Homeownership Advisors Network. Almost 6,000 Minnesota households availed themselves of free foreclosure prevention services last year, bringing the total to almost 70,000 households since the crisis began. Most importantly, more than 26,000 households successfully avoided foreclosure on their home since 2008. $19,227 - Local government – shrinking tax base, property maintenance, utility cancellations, policing. This means that, thanks to the extraordinary efforts of the Center’s Homeownership Advisors network… foreclosure counseling has saved Minnesota (lenders, municipalities and communities) over $2 Billion. Even more extraordinary is the fact that, according to our most recent cost survey, conducted by the Federal Reserve Bank of Minneapolis, foreclosure counseling costs, on average, just $400 per household. New research from NeighborWorks America conducted by Neil Mayer & Associates and the credit bureau Experian finds that homeowners that receive pre-purchase education and counseling services, like those offered by the Homeownership Advisors Network in Minnesota, are 30% less likely to become seriously delinquent on their mortgage in the first two years after closing. The research shows that the investment the Minnesota Homeownership Center has made in homebuyer services over the last 20 years helped lessen the effects of the foreclosure crisis on Minnesota. In the last ten years alone, almost 50,000 households have graduated from Home Stretch. Thanks to the knowledge they received in Home Stretch, hundreds of homeowners avoided falling seriously delinquent on their mortgage. For more information on Home Stretch, check out our most recent Homebuyer Services report, here. NOW... Minnesota homebuyers have the option of completing this important workshop in person (Home Stretch) or ONLINE via Framework. Framework is a high quality, interactive way to learn how to be a smart, confident and successful homeowner, FRAMEWORK provides the facts you need to become well-informed about every step in the process. Better access to quality loans, fewer delinquencies. That’s why we support homebuyer services in Minnesota. This report provides a summary of findings from an evaluation of the foreclosure prevention counseling program provided by the Center's Homeownership Advisors Network. In Minnesota, local, free foreclosure counseling services are provided to ANY homeowner through a network of about 25 different non-profits, governmental, tribal and social service agencies throughout the state. The report summarizes household and loan characteristics, service usage, and outcomes for homeowners receiving foreclosure counseling during the past twelve months. The complete report is available online at the Center's website, here. a decrease of 41% from 2011.
were able to avoid foreclosure. (the traditional benchmark of mortgage affordability). due to a loss or reduction in income. The Minnesota Homeownership Center has just released its latest report on the number of foreclosures - as counted by completed Sheriffs' Sales - for every county in Minnesota. The report, titled “Foreclosures in Minnesota,” identified a total of 17,895 foreclosures in Minnesota in 2012, a decrease of 16% from 2011. You can view the full report, here. Struggling homeowners are encouraged to seek help from a certified foreclosure prevention specialist that is a member of the Homeownership Advisors Network as soon as possible. Waiting limits a homeowners options. If you, or someone you know is struggling with mortgage payments... visit www.hocmn.org or call the Minnesota Homeownership Center at 866-462-6466. Founded in 1993, the Minnesota Homeownership Center is celebrating 20 years of promoting successful homeownership throughout the state and has been one of the state’s primary responders to the foreclosure crisis. 2013 is a special year for the Minnesota Homeownership Center and we've already started the festivities! Founded in 1993, the Center is celebrating 20 years of promoting successful and sustainable homeownership throughout the state. Our first endeavor for this year is a complete overhaul of our website. We've updated with a simplified interface, new materials and tons of resources for both consumers and professionals, switching from English to Spanish at the click of a button and incorporating many new tools to simplify how users find and share the valuable information on our website. Visit our website here: www.hocmn.org to see more! Over the past two decades, we've been on the cutting edge of homebuyer education, homeownership support and foreclosure prevention and we’ll be communicating with you throughout the year as we release additional tools, resources and fun materials celebrating our anniversary year. On Tuesday, January 22nd, the Minnesota Homeownership Center released its year-end data on the aggregate number of Preforeclosure Notices received by foreclosure counselors in the Homeownership Advisors Network. The numbers continue to show almost universal good news about the future of foreclosures in Minnesota. The City of St. Paul seems to be the ONLY location where notices have not dramatically decreased. We'll keep our eye on these numbers to see if the quarter four data is an anomaly or a sign of a deeper issue. While it is encouraging that the numbers of preforeclosure notices received is down to the the lowest level since we started tracking these numbers, we can't lose sight of the fact that almost 40,000 Minnesota households continued to struggle with their mortgage payments in 2012. If you're struggling with mortgage payments... you're not alone. Thousands of others are also struggling. More importantly, Minnesota has a statewide network of non-profit organizations that can help YOU put a plan in place to avoid foreclosure. Last year, more than half of the people who sought out our services were able to avoid foreclosure. Don't delay, contact us today.